On June 30, 2015, Trita Parsi, the head of the National Iranian American Council and a staunch cheerleader for the Iranian regime, published an editorial on CNN’s website that in retrospect now looks otherworldly stupid. In it, Parsi was making the case for the Iran nuclear deal and the benefits it would bring, not the least of which was the argument that it would help empower moderates in Iran, rally Iranian youth and bring about stability throughout the Middle East. “America benefits if the democratic aspirations of the Iranian people are increasingly met, because a more democratic Iran is a more moderate Iran. “This is particularly important at a time when the violent winds of religious radicalism are ravaging the Middle East and beyond. America is in desperate need of an injection of political moderation in the region. An Iran that moves towards democracy could provide that,” Parsi wrote. Iran has expanded wars in Iraq and Yemen using terrorist proxies funded and armed by the regime’s Revolutionary Guards and Quds Force, destabilizing the. Parsi is either the dumbest political analyst on the planet or one so far committed to covering for the Iranian regime it’s a wonder he’s not drawing a salary from the Iranian Foreign Ministry. Parsi has been so colossally wrong in his predictions we have to ask if any news organization ever runs a check on the accuracy of his quotes. But picking apart Parsi’s past stumbles is only picking at the corners of a much broader tapestry; one in which the NIAC has been proven wrong over and over again in its predictions. One of the more recent claims was by Ryan Costello, a NIAC policy fellow, who wrote in analysis running on the NIAC’s website on February 16, 2018, that the Iranian regime’s missile program was not a threat and pointed out it was limiting the range of its weapons to 2,000 km, which only placed most of the Middle East under threat of attack and not the whole world. Small comfort when news has come out of satellite photos revealing a flurry of activity as Iran’s military begins construction of permanent military bases outside of Syria’s capital of Damascus complete with hangers capable of storing missiles that can now strike Israel, Saudi Arabia and most of the Mediterranean within a matter of minutes. You hear that sound? It’s crickets in the silence coming from the NIAC. According to Fox News, satellite images from ImageSat International show what is believed to be the new Iranian base operated by the Quds Force. 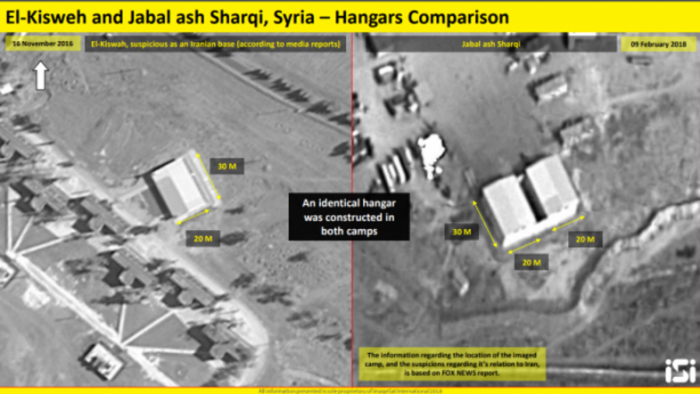 The photos show two new white hangars, each roughly 30 yards by 20 yards, used to store short- and medium-range missiles. On Capitol Hill this week, the top U.S. military commander for American forces in the Middle East said Iran was “increasing” the number and “quality” of its ballistic missiles it was deploying to the region — when asked during a House Armed Services Committee hearing by Rep. Liz Cheney, R-Wyo., about reports Iran had moved more missiles into Syria. Gen. Joseph L. Votel, head of U.S. Central Command, said Iran has “enhanced” its funding to proxy forces in the Middle East since the landmark nuclear agreement in July 2015, including sending missiles, fighters and other arms to Yemen and Syria. The presence of permanent bases in Syria by Iran directly contradicts claims made by the NIAC that Iranian regime would only be a stabilizing force, but instead has turned into an occupation force. All of which begets the question of what the U.S. needs to do to counter the regime, a question the NIAC has yet to answer other than to press the Trump administration not to ditch the nuclear agreement. Secretary of State Rex Tillerson last month laid out a U.S. strategy in Syria that includes an indefinite stay for troops. The tragedy of all this is that the NIAC has contributed to the biggest lie about Syria over the past three years and so far no one except us and the Iranian dissident movement seems to be holding it accountable for it. Just when you thought there might be the tiniest of cracks in the unified armor of the National Iranian American Council’s mind-numbingly strict defense of the Iranian regime with its recent statement criticizing the death of Canadian-Iranian environmentalist Kavous Seyed Emami, the NIAC went full-bore again in defending the regime’s ballistic missile program with an “analysis” of it. Prepared by the NIAC’s Ryan Costello, the paper makes the argument that Iran’s ballistic missile program should not be a concern to the U.S. or anyone else (except maybe Saudi Arabia and Israel) and in fact ought to be viewed as benign. He makes these arguments because the regime’s missile program has proven problematic for supporters of the Iran nuclear agreement. 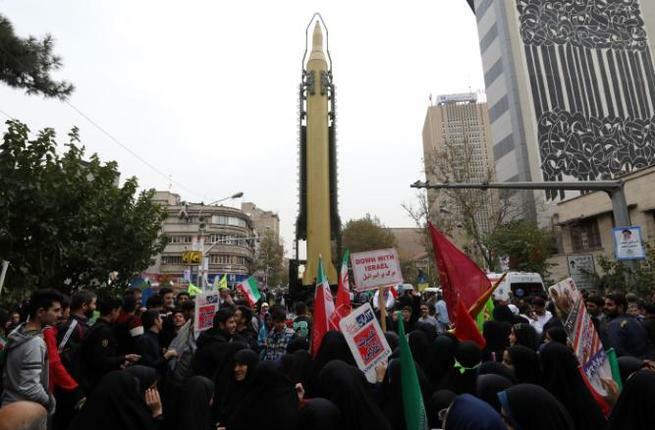 It is the inconvenient truth that no matter how much Iran lobby supporters say the deal is good for the world, the regime’s display of aggressive missile firepower boldly mirrors that of North Korea and frankly, scares the daylights out of the rest of the world. It also doesn’t help that the Iranian regime fomented wars in Syria, Iraq and Yemen and is busy brutalizing its own people, as well as snatching citizens from other countries such as the U.S., U.K. and Canada. That tends to make people have less faith in your word. Which is why our good friend Ryan Costello is busy trying to reassure everyone that missiles with the throw weight necessary to carry a large warhead with a present range of over 2,000 kilometers is nothing to worry about. “Despite this flurry of activity, there have been subtle shifts in Iran’s missile program that could reduce the program’s threat. 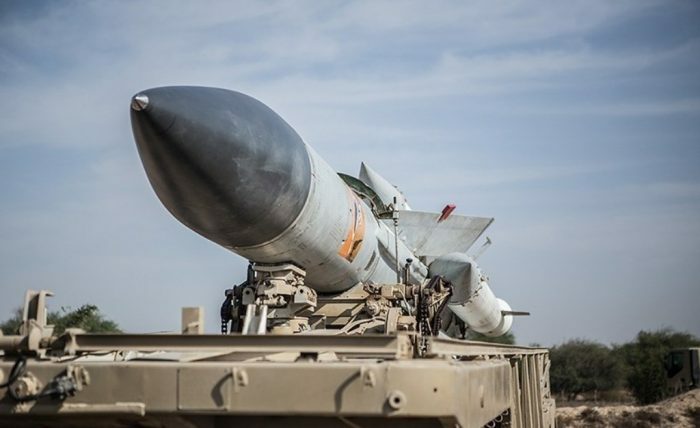 In particular, Iran’s articulation of a range limit to its missiles and a shift toward short-range solid fueled missiles signals an interest in conventional, regional deterrence, not long-range nuclear missiles,” Costello writes. Costello bases his argument that solid-rocket motor propelled missiles are somehow shorter range and less of a threat than liquid-fueled ones. He obviously doesn’t know anything about missile technologies. Solid-fuel boosters are the Holy Grail of ballistic missiles because they require no fueling, which can often be a laborious and time-intensive process. Solid-fuel capable missiles can be launched instantly and since they require no fueling facilities, can be siloed, transported or placed in virtually any location making them harder to detect and destroy. The reason why Iran and North Korea for that matter are aggressively pursuing solid-fuel boosters is because of the cut down in response time. If you are looking to blast your neighbors to smithereens, it helps to be able to do so without warning. Costello also bases his claims on statements made by top mullah Ali Khamenei that Iran would halt its development of longer range missiles and stick to the 2,000 km limit. It’s a dubious claim to stake global peace and security on given that Khamenei’s past track record of reliability has been just short of Adolf Hitler’s in 1938. Costello credits all this to the Iran nuclear deal in shifting away from longer-range missiles, an absurd contention since he offers no proof other than to say the regime hasn’t fired as many test missiles as North Korea. That is not a reassuring statistic. The mere presence of a growing ballistic missile fleet, especially one being converted to solid-fuel boosters, represents an enormous destabilizing influence in the Middle East. Let’s remember that Costello and his brethren at the NIAC all claimed that passage of the nuclear deal would promote moderation within Iran and help stabilize the region. The past three years have flatly proven them wrong as Iran has been at the very center of chaos in the region. Costello also fails to address the elephant in the room, which is how can you trust a regime to not develop longer-range missiles when there is no agreement in place to prevent that from happening in the first place! The argument the Iran lobby made for the Iran nuclear deal in the first place was that it was necessary to have an agreement and structure in place to hold Iran accountable and provide leverage through an inspections regime, but no such structure exists to blunt Iranian development of these weapons. In essence, Costello is making the argument that we simply shouldn’t worry about them because hey, the mullahs will only fire them in self-defense! This also explains why Costello’s boss, NIAC head Trita Parsi, has been busy trying to drum up the fear of war again by blaming Israel for exacerbating tensions with Iran, including the recent shootdown of an Iranian drone in Syria. “Instead of a showdown in Syria, the showdown will move to New York and feed into an ongoing effort by Saudi Arabia and the Trump administration to use any pretext – missiles, drones or violating the ‘spirit’ of the Iran deal – to pass a Chapter VII UN [Security Council] resolution,” said Parsi, who supports the 2015 nuclear deal. Parsi goes on to expand that idea in an editorial he authored in Defense One claiming that Saudi Arabia is manipulating the United Nations to punish its long-time regional foe. “Such a resolution would once again put Iran in the penalty box, with its economy sanctioned and its political pathways for influence in the region blocked — i.e., an all-out containment of Iran. In Riyadh’s calculation, this will thwart Tehran’s rise and shift the regional balance in favor of Saudi Arabia and Israel,” Parsi writes. It is mind-boggling how the NIAC will try any argument, no matter how far-fetched, to shift blame away from the mullahs and cast it on anyone else. 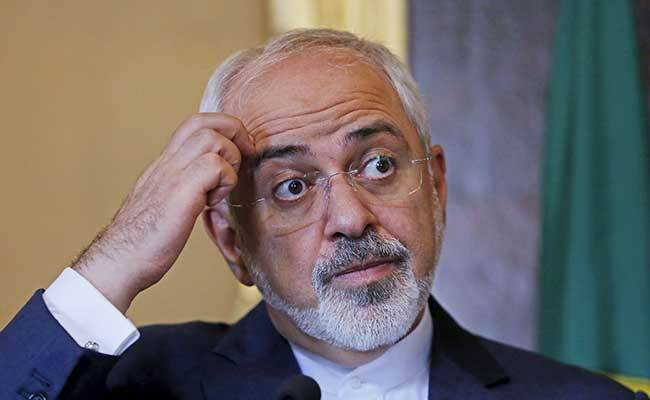 The Iranian regime’s foreign minister, Mohammad Javad Zarif, authored an editorial that ran in the New York Times which has been receiving some play in social media circles and it is worthy of closer examination because of the litany of falsehoods it perpetuates. Zarif’s editorial recounts the completion of the Iran nuclear accord and the benefits it has brought the region, specifically to Europe as it has opened Iranian markets to European Union companies. He warns that all that demanding work has been put at risk by President Donald Trump’s assertive stance towards the regime, especially its ballistic missile program which the U.S. views as a strategic threat to its forces and allies in the region. While Zarif waxes longingly about the crisp Vienna air two years ago, he neglects to mention what Iran has accomplished in that same span of time that might now make his list of accolades. There is little surprise in his editorial running in the New York Times which has long been a staunch advocate of supporting policies easing the burden on Iran during the Obama administration and Zarif repays its support in literary license by equating President Trump’s opposition to the regime to the threat of climate change. Ultimately though, Zarif’s editorial is aimed squarely at the capitals of EU nations that may be wavering in their wholehearted support of the opening economic channels with the Iranian regime; some have already made the shift such as France under incoming French President Emmanuel Macron’s strong denunciation of Iran’s ballistic missile program. What Zarif and his mullah masters have recognized is that support throughout European capitals is thinner than they think. The past two years of Iranian involvement in several conflicts have had a detrimental effect on Europe, especially the Syrian civil war which widened only after Iran stepped in with cash, arms and troops to save the regime of Bashar al-Assad. That conflict alone set in motion one of the largest migrations of refugees into Europe since the end of World War II and helped give rise to the radical extremism of ISIS which has plagued Europe of terrorist attacks in London, Paris, Brussels, Berlin and elsewhere. European leaders, while attracted to the idea of accessing Iranian markets for investment, are realizing that doing a deal with the devil is no deal worth doing in the long run. History may also be playing a role since the diplomatic history of Europe has been littered with many failed efforts to rein in extremism such as the Munich Accords which failed to bring Adolf Hitler to heel. Those reminders serve to pointedly give EU nations pause when considering what to do next with Iran. Zarif didn’t help his cause when he attempted to push some silly false narratives in his editorial, especially extolling the defensive virtues of Iran’s ballistic missile program, insisting their pinpoint accuracy should not cause concern. His claim that Iran’s desire for a vast military buildup is only fueled by history such as the Iran-Iraq War rings hollow when taken in the context of how the regime has invested so heavily in weapons that can strike well beyond its own borders and threatens Europe itself. This may explain why leaders such as Macron are quick to push back against Iran now since they already have a model of ballistic futility to follow in the standoff with North Korea and the rest of Asia. 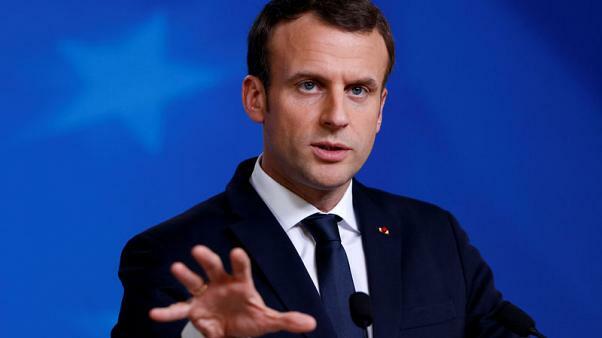 Macron can probably envision how France may end up in the same proverbial boat as Japan is now with North Korea lobbing missiles over its airspace and Iran demonstrating it will soon be able to achieve the same thing. Zarif’s blaming of the revolt in Yemen on Saudi Arabia is even more outlandish since Iran was the one responsible for inciting the Houthis to revolt in the first place and arming them with weapons that include shooting missiles at targets within Saudi Arabia. He also mentions Iranian regime’s “partners” but while he means to include Russia and Turkey in that description, the regime’s real partners are terrorist proxies that fight its wars, including Hezbollah in Syria, Shiite militias in Iraq and the Houthis in Yemen. These are hardly the partners that “labor to put out fires.” If anything, the Iranian regime’s partners are more like the arsonists he decries, and they have thrown matches that have caused vast tracts of the Middle East to be consumed in bloodshed. But if Zarif wants to talk about Turkish partners, he might want to mention Resit Tavan, a 40-year old Turkish businessman, being charged by U.S. prosecutors for illegally smuggling U.S.-made engines and boat generators to the Iranian navy in violation of sanctions. Or possibly Mehmet Hakan Atilla, who is accused of using his position at Turkey’s state-run HalkBank to design a system of money transfers to help Iranian regime access cash. Of course, Zarif also neglected to mention the fates of several European citizens currently languishing in regime prisons, including a British-Iranian aid worker which the Iranian regime will treat as an Iranian citizen and she will serve her sentence as determined by the judiciary, Iran’s foreign ministry spokesman said on Monday. The fates of her and other European citizens, who have been treated as hostages to be used as political pawns by the mullahs, only reinforces the perception that is growing in Europe that the Iran nuclear deal was a bill of goods and Iranian regime used to gain much-needed cash to fund its military activities while strangling any hope of democratic reforms domestically. This sentiment has been on display with the large numbers of European Parliament members now meeting with members of the Iranian resistance movement to decide on how best to confront the Iranian regime. If Zarif’s editorial is any indication, the mullahs in Tehran are deeply worried that Europe may soon be following the lead of the Trump administration. When you compare North Korea and Iran there seems to be little that connects the two rogue nations except a strict adherence to human rights abuses, but the links and similarities between the two are disturbingly close and provide a foreshadowing of the path Iranian regime is headed on. In many important ways, North Korea and the Iranian regime are kindred spirits. They are both governments built to consolidate power in the hands of a few elites and ruthlessly dedicated to eradicating all dissent. Whereas North Korea’s Kim Jong-un had his future laid out for him by his grandfather and father in a kind of dynastic megalomaniacal family hand-me-down, Iran’s leadership has flowed from one scheming mullah to another in a religiously based enterprise with Ali Khamenei at the top of the pyramid. Both regimes are totalitarian in the strictest sense, utilizing a system of government that includes firm backing from the military and a judicial system designed less for crime prevention than dissident detection. Both regimes also heavily invest in their respective militaries, especially in developing weapons of mass destruction and delivery systems for them. In fact, the ties between the two are especially close in this area as intelligence agencies around the world have tracked the sale of North Korean nuclear and ballistic missile technology to Iran. And just as North Korea threatens its neighbors such as Japan and the U.S. with multiple missile launches and test detonations of nuclear warheads, Iran also flexes its muscle with displays of missile launches, as well as direct intervention with its own troops in Syria, Iraq and Yemen. But North Korea is limited in many ways that Iran is not. The most significant being that North Korea’s economy is anemic compared to Iran’s with its oil wealth. This is why North Korea resorts to illicit activities such as cybercrime, counterfeiting and narcotics trafficking to raise money. Iran by comparison has used its oil wealth to fund a massive military and prop up the Assad regime in Syria as well as fund the terrorist group Hezbollah and the Houthi rebellion in Yemen. Recent reports also show Iran’s military supplying terror cells in neighboring Gulf states such as Bahrain with explosives and funding. Which is why Iran remains the most pressing and problematic rogue regime in the world today facing the U.S. Jennifer Rubin in the Washington Post’s Right Turn column explored the strange relationship between North Korea, Iran and Syria and why the Iranian regime remains the most serious threat to regional security and global stability. All those assumptions were wrong, according to Rubin. Congress and the Trump administration need to move expeditiously on sanctions, Rubin said. “On one hand, we are properly worried over Syria and North Korea. On the other hand, our current policy toward Iran, a much greater threat, is such that we are helping to rebuild and enrich a country that is supporting Assad, is exporting terrorism, is fomenting regional chaos and — even without cheating — can eventually obtain nuclear weapons. We are concerned about North Korea’s puny and inept ballistic missile program but have done nothing since pinprick sanctions to respond to Iran’s illegal missile tests. We have lots of challenges to address, to be sure, but we shouldn’t take our eyes off of the worst and most dangerous rogue state,” she added. Rubin correctly points out that the nuclear agreement forged by the Obama administration has helped strengthen the Iranian regime at a time when it was in very serious danger of collapsing from the weight of supporting Assad in Syria, while also faced with plunging global oil prices that could have bankrupted the ruling theocracy. This theme of North Korean lessons for Iran was carried by famed human rights attorney Alan Dershowitz in a piece for the Gatestone Institute. “The hard lesson from our failure to stop North Korea before they became a nuclear power is that we MUST stop Iran from ever developing or acquiring a nuclear arsenal. A nuclear Iran would be far more dangerous to American interests than a nuclear North Korea. 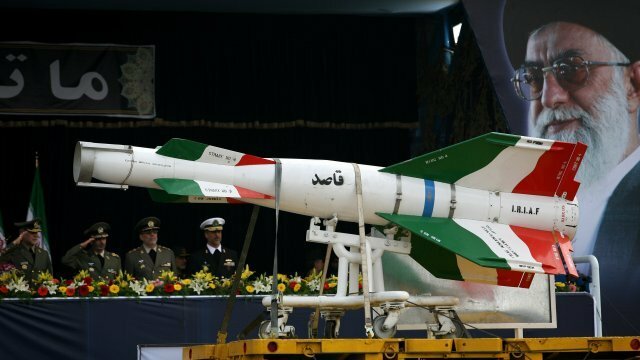 Iran already has missiles capable of reaching numerous American allies. They are in the process of upgrading them and making them capable of delivering a nuclear payload to our shores,” Dershowitz writes. The deal signed by Iran in 2015 postpones Iran’s quest for a nuclear arsenal, but it doesn’t prevent it, despite Iran’s unequivocal statement in the preamble to the agreement that “Iran reaffirms that under no circumstances will Iran ever seek, develop or acquire nuclear weapons.” (Emphasis added). Recall that North Korea provided similar assurances to the Clinton Administration back in 1994, only to break them several years later — with no real consequences. The Iranian mullahs apparently regard their reaffirmation as merely hortatory and not legally binding. The body of the agreement itself — the portion Iran believes is legally binding — does not preclude Iran from developing nuclear weapons after a certain time, variously estimated as between 10 to 15 years from the signing of the agreement. 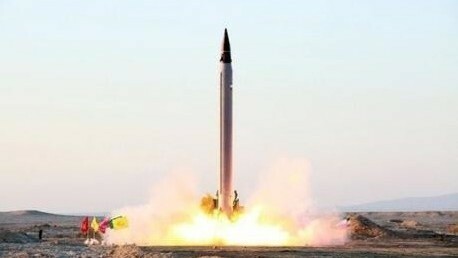 Nor does it prevent Iran from perfecting its delivery systems, including nuclear tipped inter-continental ballistic missiles capable of reaching the United States,” he adds. It is not a coincidence that both North Korea and Iran held massive military parades in a show of force in an effort to rattle the saber to a Trump administration that has made it clear it is NOT the Obama administration. Both regimes are controlled by power-crazed men with homicidal tendencies. It will be a hazardous path to navigate for President Trump, but confronting Iran forcefully now will assuredly head off worse problems down the road; a bitter lesson we have learned from the Obama administration’s policies of appeasement. You may not have noticed the news, but there is a shooting war going on off the coast of Yemen between the US Navy and Iranian-backed Houthi rebels trying to overthrow the government in Yemen. 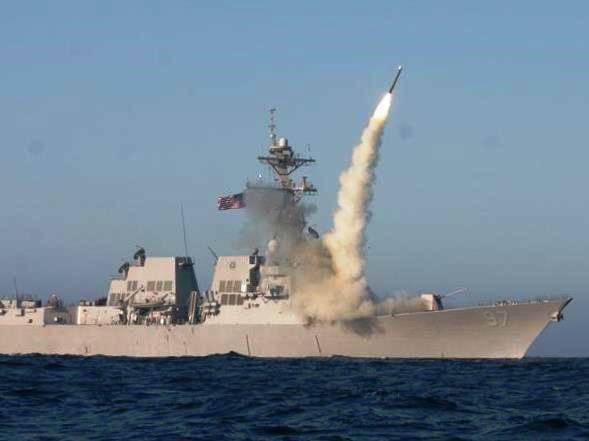 According to US military sources, the US Navy destroyer, USS Mason, was targeted in a failed missile attack as it operated north of the Bab al-Mandab Strait. It was the second attack in the last week against US warships. The Mason fired defensive salvos in response, bringing down one of the missiles fired at it according to the Pentagon. In response, the US Navy reportedly fired Tomahawk cruise missiles Thursday morning from the Red Sea at coastal radar sites in Yemen, destroying targets believed to have targeted the US warships. The missiles were launched from the destroyer USS Nitze at three locations north of the Bab el-Mandeb strait, said Pentagon press spokesman Peter Cook. Michael Knights, an expert on Yemen’s conflict at the Washington Institute for Near East Policy, said the targeting of U.S. warship suggested the Houthis, fighters from a Shi’ite sect that ruled a 1,000-year kingdom in northern Yemen until 1962, could be becoming more militarily aligned with groups like Lebanon’s Shi’ite militant group Hezbollah, according to Reuters. “Targeting U.S. warships is a sign that the Houthis have decided to join the axis of resistance that currently includes Lebanese Hezbollah, Hamas and Iran,” Knight said. The Mason was also the target of a failed missile attack off Yemen on Sunday, and the Navy praised the resolve of sailors aboard the ship. U.S. officials have told Reuters there are growing indications that Houthi rebels, despite those denials, were responsible for Sunday’s incident. The rebels appeared to use small skiffs as spotters to help direct the missile attack on the warship on Sunday. The United States is also investigating the possibility that a radar station under Houthi control in Yemen might have also “painted” the USS Mason, something that would have helped the Houthi fighters pass along coordinates for a strike, the officials have said. Reuters has learned that the coastal defense cruise missiles used against the USS Mason on Sunday had considerable range, adding to concerns about the kind of heavy weaponry that the Houthis appear willing to employ and some of which U.S. officials believe is supplied by Iran. Another missile launched Oct. 1 caused near-catastrophic damage to the HSV-2 Swift, a catamaran-style high-speed vessel that was operated by the Emiratis and once was a part of the U.S. Navy. Video of the strike published online shows the ship engulfed in a fireball. It’s no secret that the Iranian regime has been supplying the Houthis in their insurgency campaign and warships from Saudi Arabia and other Gulf states have intercepted ships coming from Iran to Yemen loaded with illegal weapons, including rockets, mortars and launchers. Even the U.S. Navy intercepted an Iranian shipping vessel sending vast shipments of arms to the Houthis in April 2016. Attacking American ships in Yemen is becoming a disturbingly all too common affair since this Wednesday also marked the 16th anniversary of the terrorist attack against the USS Cole in Aden harbor, which killed 17 American sailors. 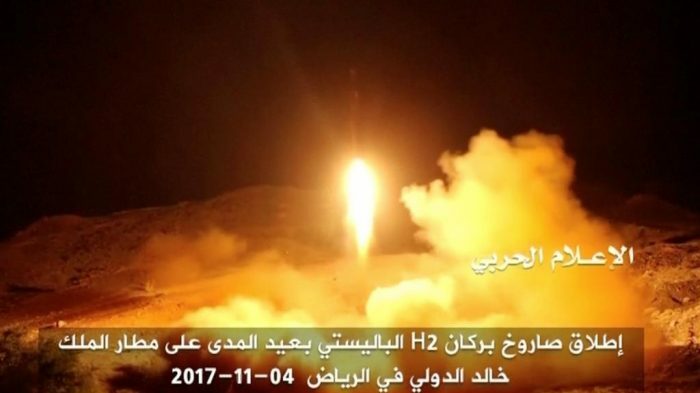 The fact that Iranian regime supplies virtually all of the arms to the Houthis, especially sophisticated weapons such as the cruise missiles fired at the US Navy ships, many members of Congress suspect that some of the $1.7 billion cash ransom payment made to the Iranian regime in exchange for the release of American hostages may have paid for the Houthi weapons. The weekend attack on the U.S. Navy by Iranian-backed Houthi rebels has sparked another official inquiry surrounding the cash payment to Iran, with a group of 17 senators now seeking to obtain an official assessment by the Pentagon of how Iranian regime has allocated this cash to its military operations, according to the Washington Free Beacon. So while the Iran lobby, especially the Ploughshares Fund and National Iranian American Council promised better relations with Iran, the US Navy already finds itself in a shooting war against Iranian proxies and missiles.